That is an interesting question. There are at least two answers. First, and widely accepted, answer is that competitive intelligence originates with Harvard Professor Michael E Porter’s seminal 1980 work, Competitive Strategy – Techniques for Analyzing Industries and Competitors. More specifically, intellectually, it grew out of chapter 3, “A Framework for Competitor Analysis” and Appendix B, “How to Conduct an Industry Analysis”. From there, it was fed by the presence of a large number of former US government intelligence officers who were look to business for second careers, after retiring from the US Government. Prime among them was Jan Herring, a former CIA professional intelligence officer, who is often credited with setting up the first corporate competitive intelligence unit at Motorola. Now, whether the former intelligence officers picked up Porter’s concept or their corporate mentors merely adopted it is not clear and probably not relevant. From there it was but a short step to the creation of an association (don’t we have an association or group for everything?) by people interested in the subject, the Society for Competitive Intelligence Professionals (SCIP), now Strategic and Competitive Intelligence Professionals. The founders and early members of SCIP came from a wide variety of backgrounds, including marketing, market research, academia, corporate strategy, advertising, the law, government intelligence, medicine and accounting. Since then they have, individually and collectively, worked to promote competitive intelligence and to develop it into a cohesive subject to the point where it is being taught in a large number of undergraduate and graduate business level curricula. Now for the second version, a long story, or more correctly a story that goes back further. One can argue, and I’m not the first to make that argument, that Professor Porter’s description of how to conduct an industry analysis is merely a description of how good secondary research should always be done in a business context. The key element is Porter’s focus on competitors and advocacy that companies should be regularly checking on what their competitors are doing and are capable of doing, and acting on that. But that element was not new. 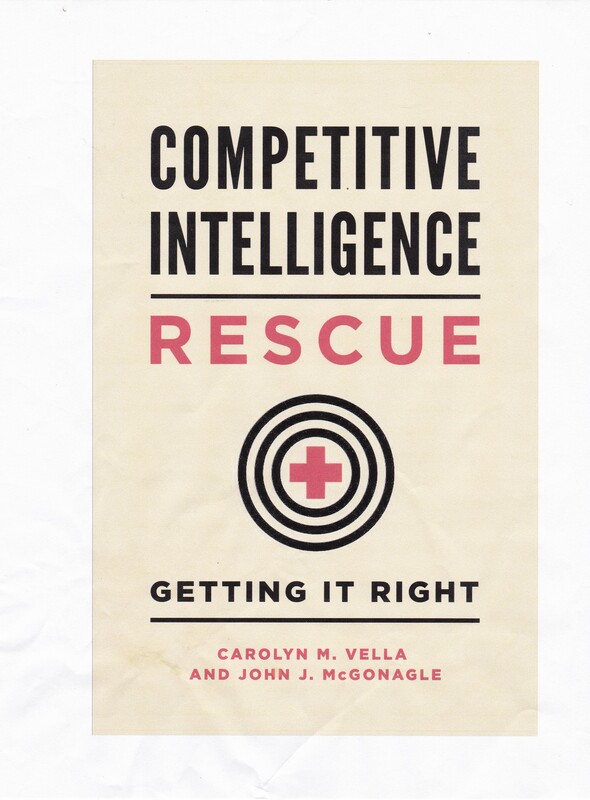 This version holds that the roots of competitive intelligence go back as far in business as we would like them to go. We can look at the great European banking family, the Rothschilds, whose agents collected information on the progress of European wars so that they could make market trading decisions before the rest of the market. That was intelligence, but not directly on competitors. Or we can take a look at the industrial revolution, with its efforts by French companies to steal technology from English companies in the exploding textiles industry. Not intelligence, but certainly focused on competitors. Given all that, competitive intelligence should have existed for a very long time, but has not. My view is that as companies became more and more focused on their own metrics, particularly since once computers have them that option, over time they lost strategic and tactical focus on anything external except their customers and the market space they were in. Competitive intelligence and its emphasis on collecting and synthesizing raw data to help companies compete better predates the Internet information revolution, which is still going on. It has exploited it, and may even be enhancing it, but that is a subject for a future post. Seminal comes from the Latin seminalis, meaning influential, and evidently including the concept of being quoted more often than actually read, as in “Karl Marx’s seminal Das Kapital”. Good information on the foundation of C I and giving recognition to the group SCIP which is available to join. I first realized the military influence when I attended a 1 day seminar on Wargaming offered by SCIP.